Young, LA based, internet-bred, bilingual, bedroom pop and alt r&b breakout Omar Apollo only got his start in music a few years ago, but, already, is a buzzworthy name in the contemporary indie pop scene, earning critical acclaim for his 2018 debut EP Stereo, and this year’s brilliant followup, Friends. Set to make his Music City debut April 23 at Exit/In, Omar is one of those artists with an earnest, intangible, and thoroughly modern sensibility that seems destined to be a huge, breakout performer, and much of the same can be said of likeminded, on the rise opener ROLE MODEL. Tickets for this need-to-know lineup are on sale here while they last, but we’re excited to announce that we’re also giving away a pair of tickets to one lucky fan! Read on for more abbot the show, and enter for a chance to win below. Raised in small-town Indiana by parents who immigrated from Mexico, Omar Velasco, better-known by his musical alias Omar Apollo, grew up listening to a mixture of popular Mexican soul singers and English-language acts like The Beatles, eventually taking up guitar as a preteen before giving it up for a few years, then falling back into the idea of making music of his own late into high school, a path that prompted him to forgo pursuing college. Now in his early 20s, it was just a few years ago that Omar fell hard into acts like The Internet, Daniel Caesar, and Smino, saving up for a new guitar and laptop to make beats, with which he forged his own flashy, bilingual, bedroom pop meets alt r&b, thoroughly modern, and internet primed sound. After some early buzz on Soundcloud, Apollo uploaded his music to Spotify in 2017, racking up 10s of thousands of streams after getting playlisted, and leading to boosted online presence and eventual professional representation. In 2018, Omar released his first proper collection of songs, Stereo, recorded between Los Angeles (where he now resides full-time) and the Indiana attic where he was living at the time with several roommates, further earning praise from critics and helping the singer turn his musical passion into a full-fledged burgeoning career. This year’s Friends EP further flexes Omar’s stylish, electro-drenched, sensitive, and hypnotic sound, helping make him an essential, must-know talent for fans of internet-born, trendy, contemporary bedroom pop and r&b. While this might be his first show in Nashville, we expect you’ll be seeing a lot more of Omar Apollo in the coming years, so catch him now while he’s on his existing, well-deserved rise! Like Omar, Portland, Maine’s ROLE MODEL sprung just a few years ago from the Internet-bred, genre-bending bedroom pop, DIY ethos, in this case the brainchild of artist Tucker Pillsbury, also in his early 20s. After briefly trying his hand at Soundcloud rap, Pillsbury pivoted to a more hip hop adjacent, earnest and approachable, modern and poppy sound as ROLE MODEL, making his debut with 2017’s Arizona in the Summer EP. Frequently playlisted, ROLE MODEL has seen his internet buzz grow over the past few years, thanks to his ability to tap into the contemporary music scene both in his hard-to-pin-down sound, and his willingness to tackle depression, loneliness, and the challenges of youth in his songwriting. A perfect compliment to Omar Apollo, if you’re a fan of either of these artists, you’re sure to love both. Show up early! Winner will be announced Friday, April 19 at 12 p.m. CDT, and will receive one pair of tickets. Good luck! Win Tix to Omar Apollo at Exit/In! 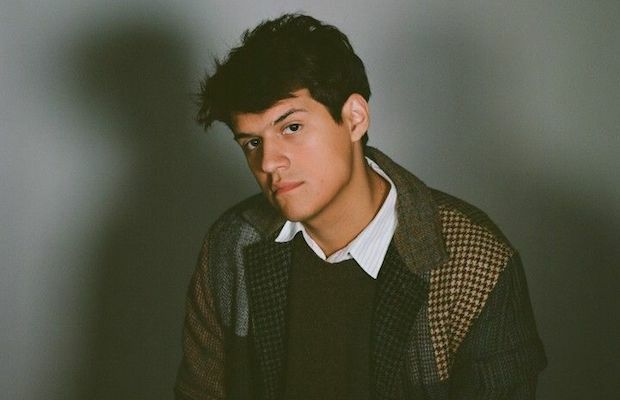 Omar Apollo and ROLE MODEL will perform Tuesday, April 23 at Exit/In. The show is 18+, begins at 9 p.m. (doors at 8 p.m.), and tickets are available to purchase for $15-55.